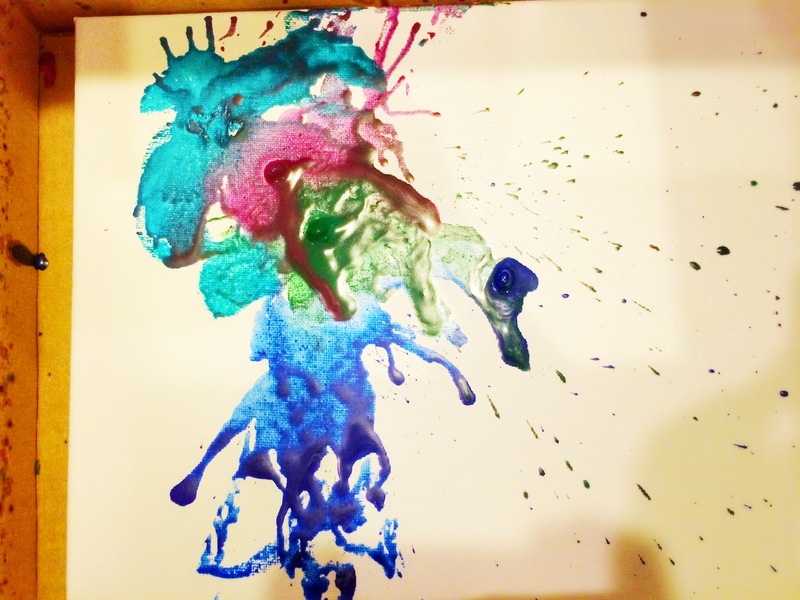 Find all our old and NEW crafts on the fantastically fun, new website: www.ourbeautifullymessyhouse.com !!! Although there's definitely some unpredictability in this project, you first need to plan it out a bit. 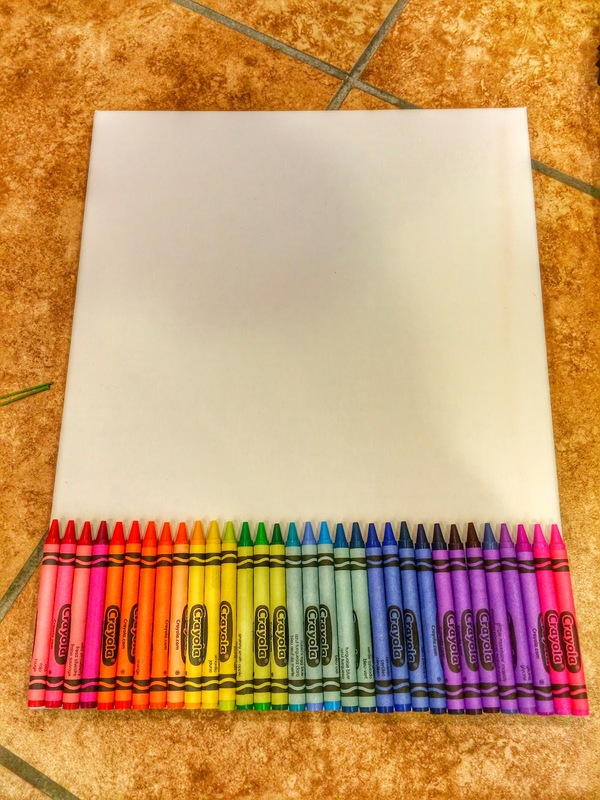 Start with picking out your colors. 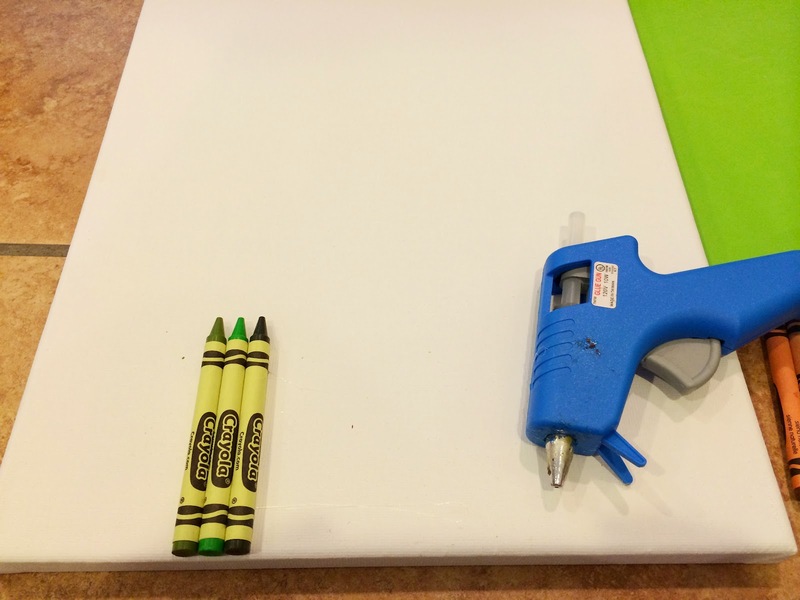 After deciding where your crayons will go, use the hot glue gun to attach them to the canvas. 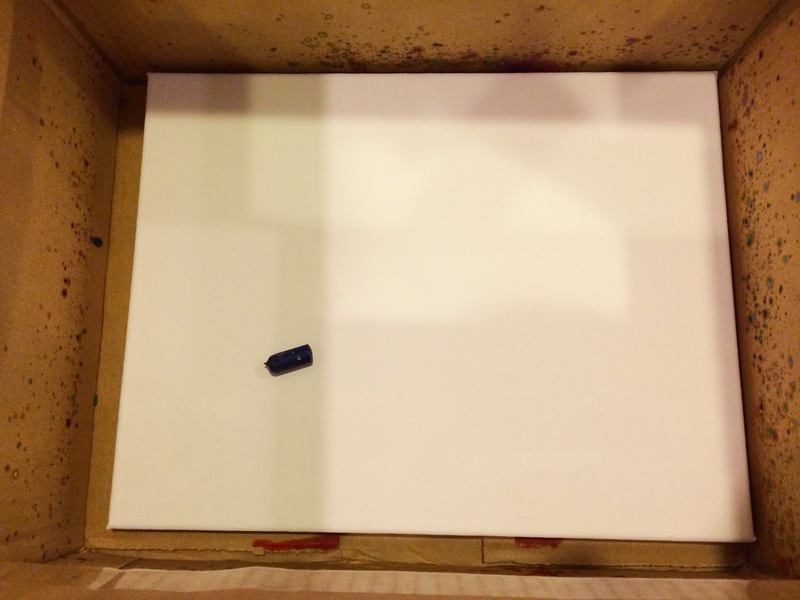 Next, place the canvas in a cardboard box. 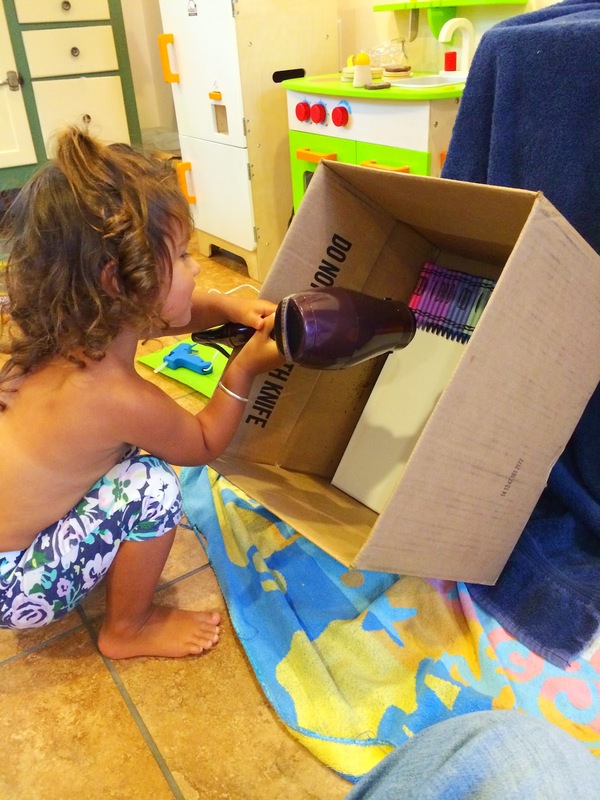 The box will keep your work area clean, catching the crayon splatter. Prop the box up against a chair, table, or wall. 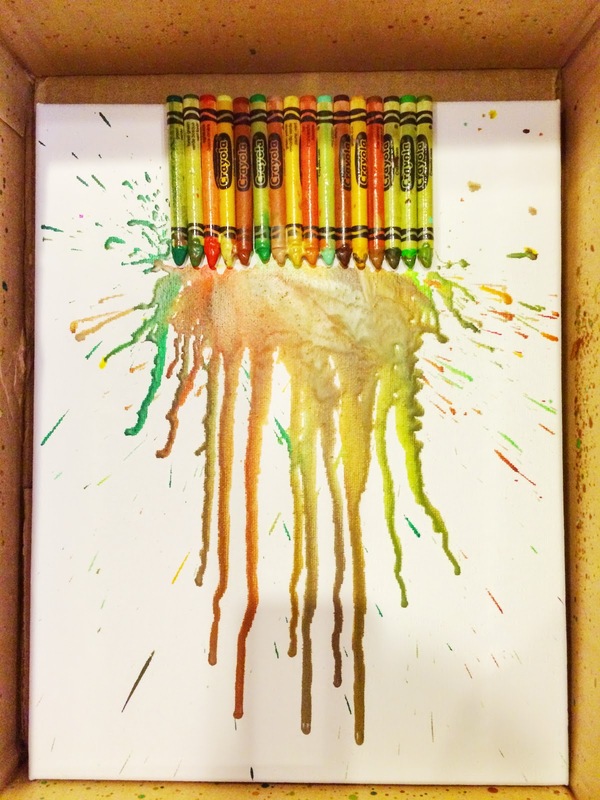 Make sure the crayons are facing down (if you want a dripping effect) and that the box and canvas are on a little bit of an incline. 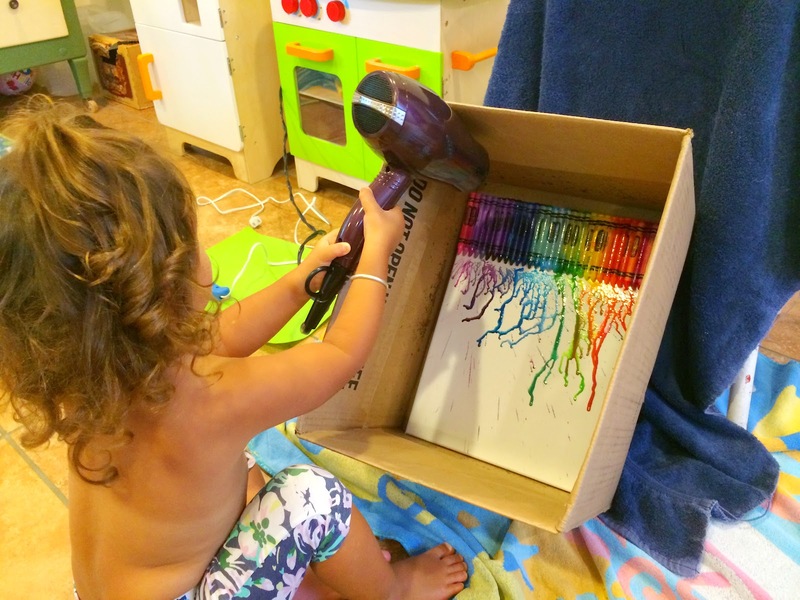 Next for the fun part, use the hair dryer to melt the crayons and blow the wax around. 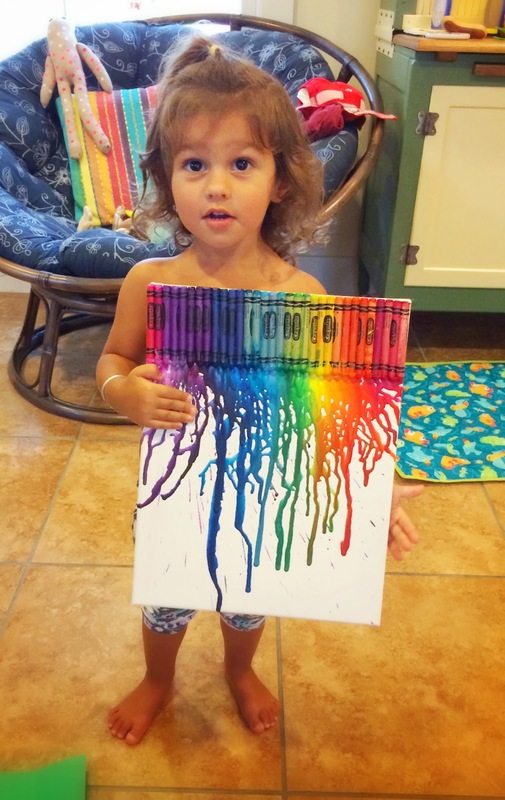 I let L do most of the rainbow picture. 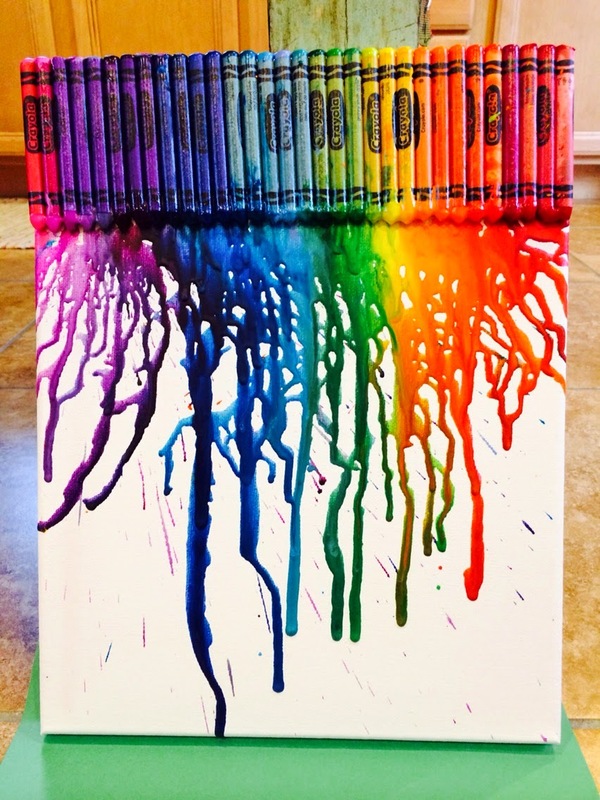 Turned out pretty awesome, huh!? 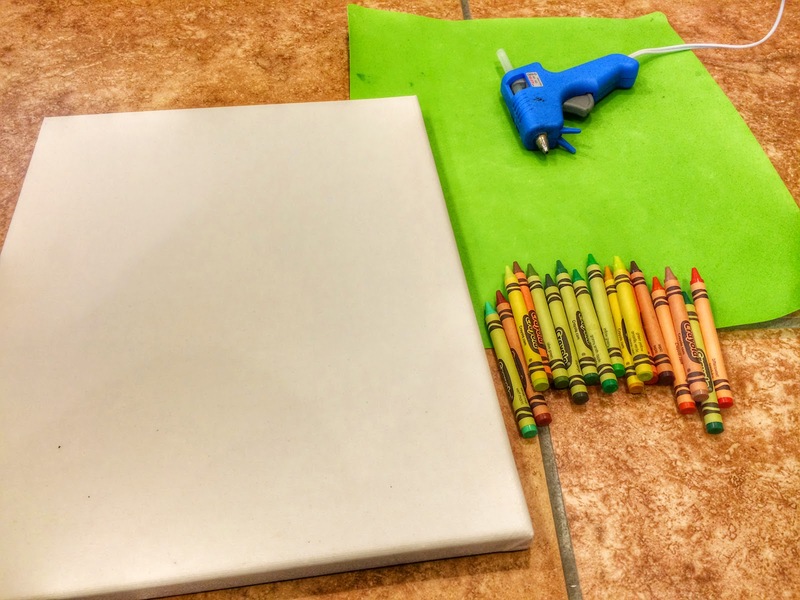 Now, display your work in whichever direction you please. 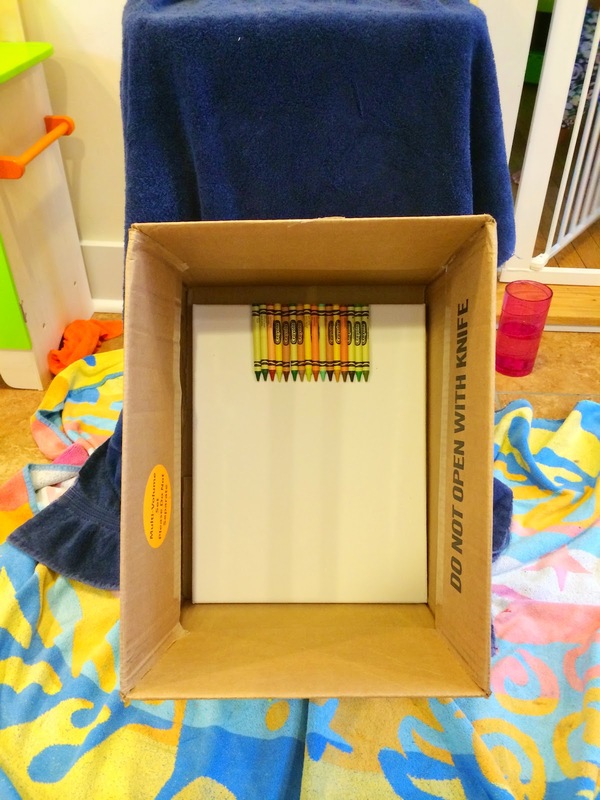 I think a ribbon pinned or glued around the outside edges of the canvas would give it a nice finished work too. 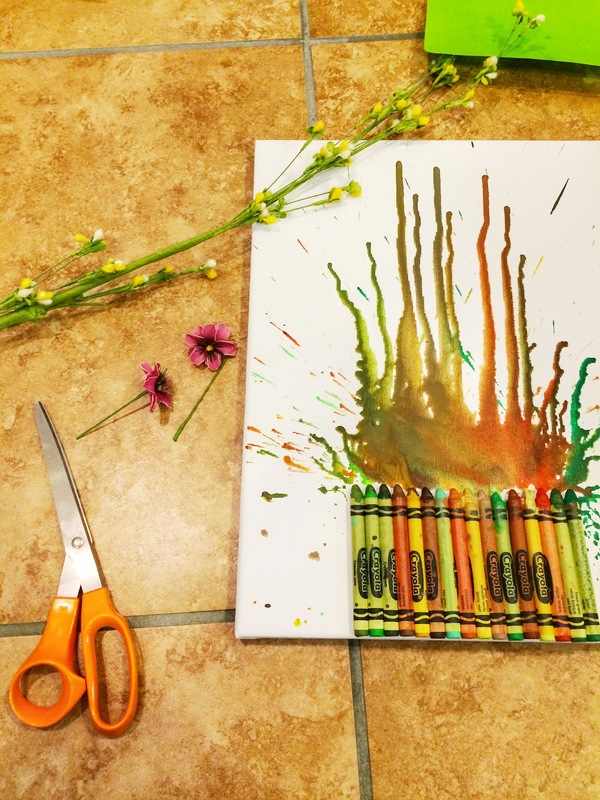 To make the wildflower piece, I used mostly greens and browns. 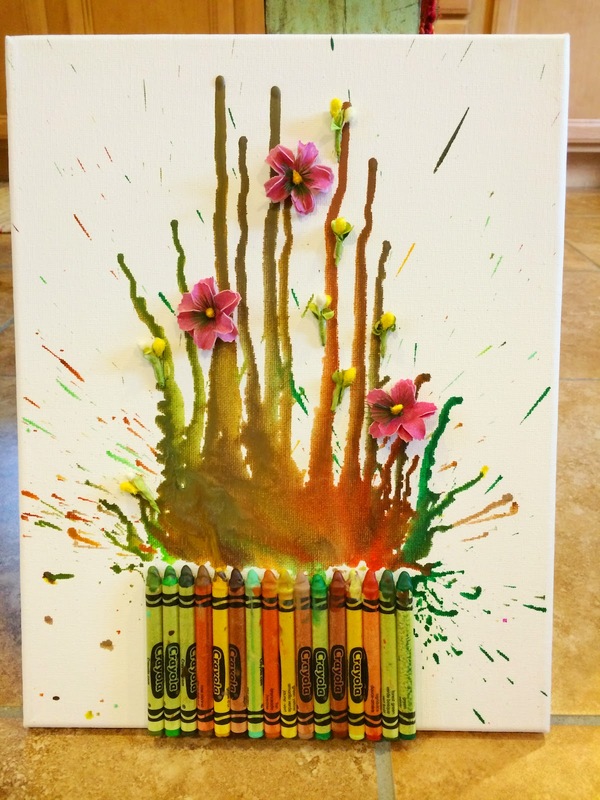 After I was done melting the crayons and the wax had time to cool down, I used the hot glue gun to attach flowers. 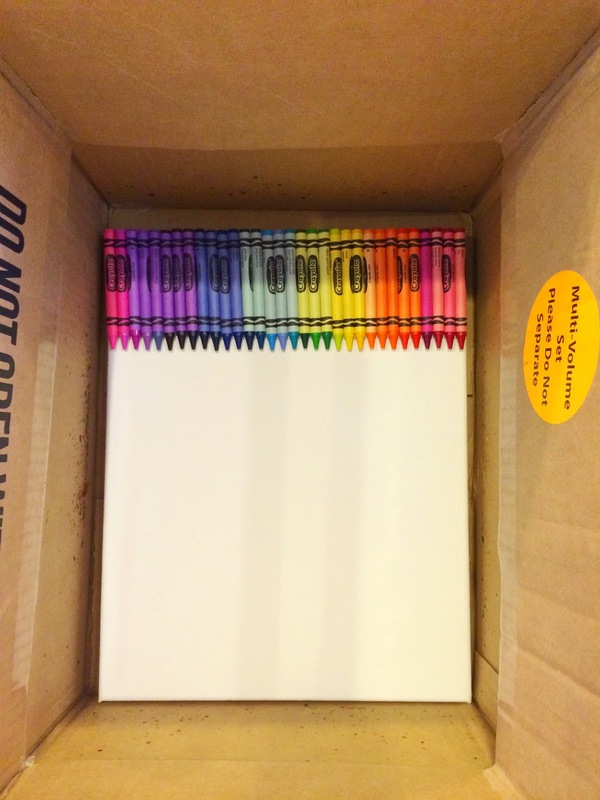 Do this step carefully, so no glue shows! It works best to glue the flowers on spots without any wax. I experimented with this one a bit, trying to plan for some future creations. 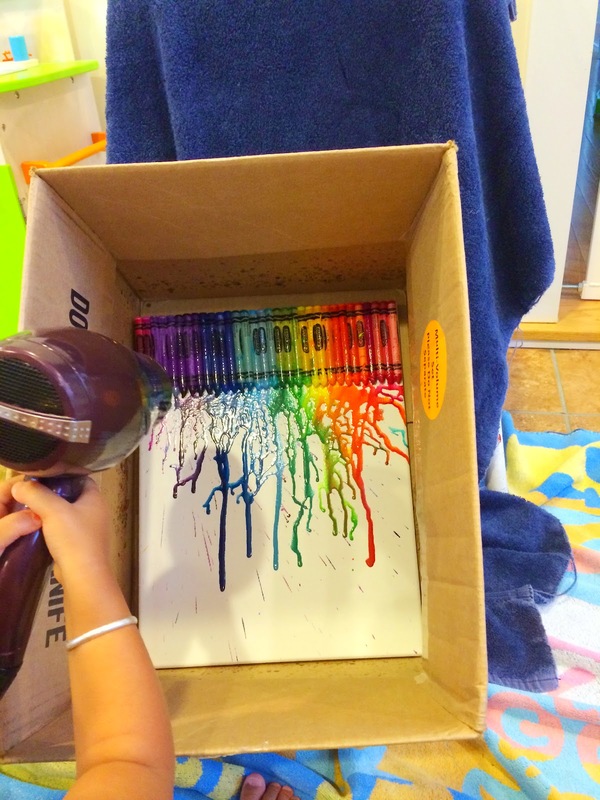 I kept the box flat to the ground and used broken crayon pieces. To hold the crayons in place while melting them, I used a fork and smudged them around a bit. 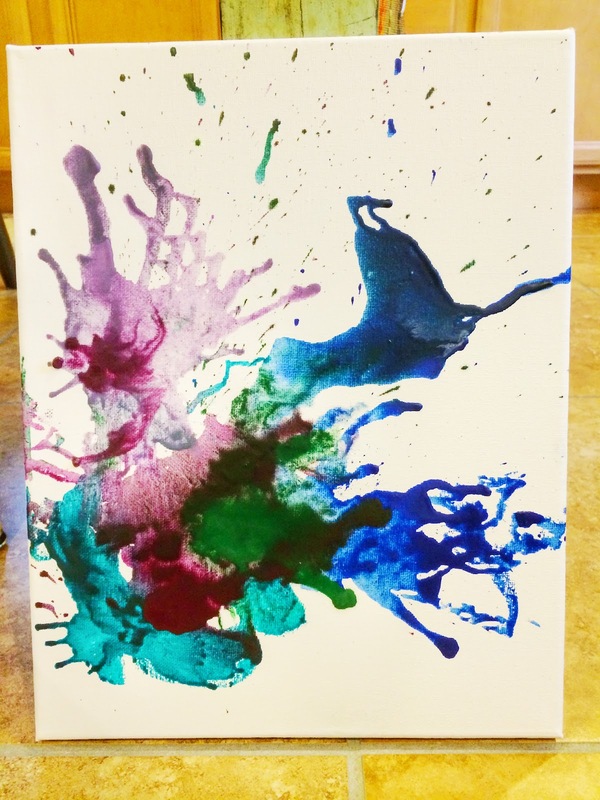 The outcome was a little funky...next time I'll use smaller crayon pieces and maybe some crayon shavings instead. I'm hoping to make a vibrant, Autumn tree next! 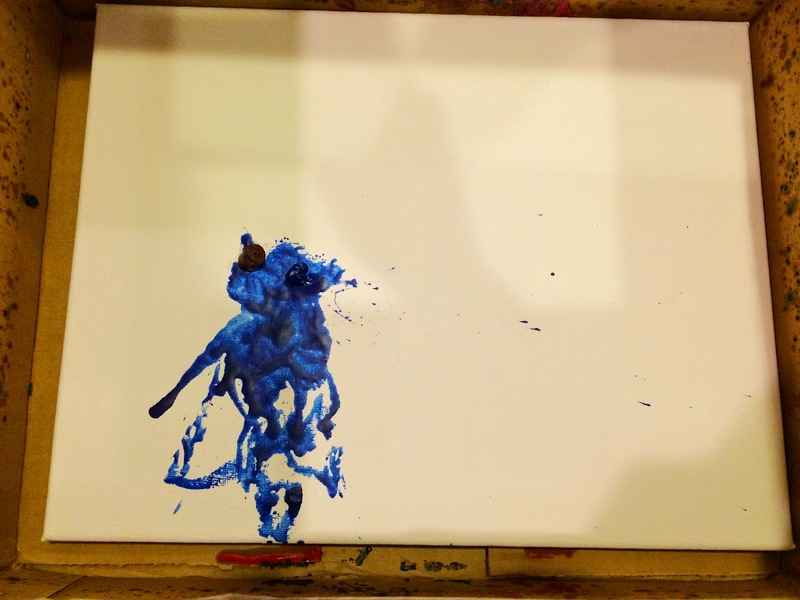 I'll be sure to update the blog and add those pictures as well, so check back soon!!! 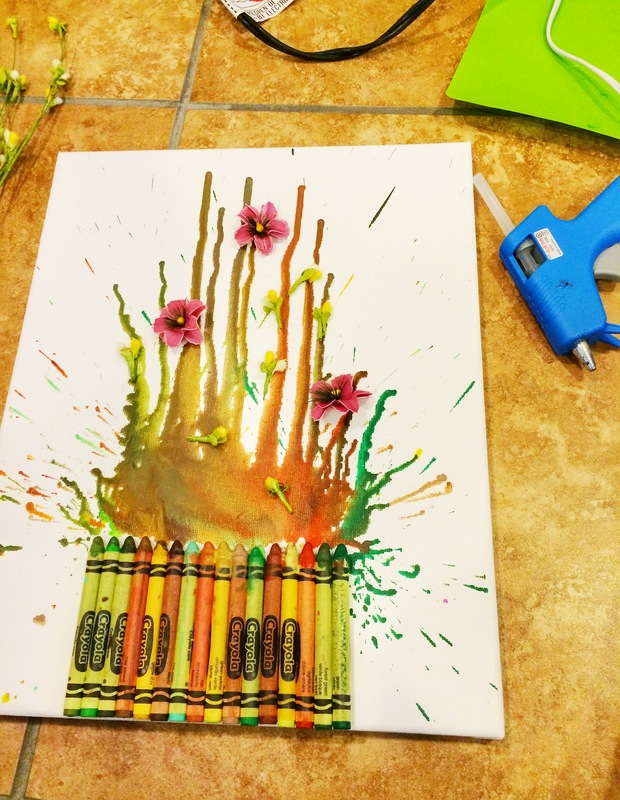 What "melted crayon art" will you make??? 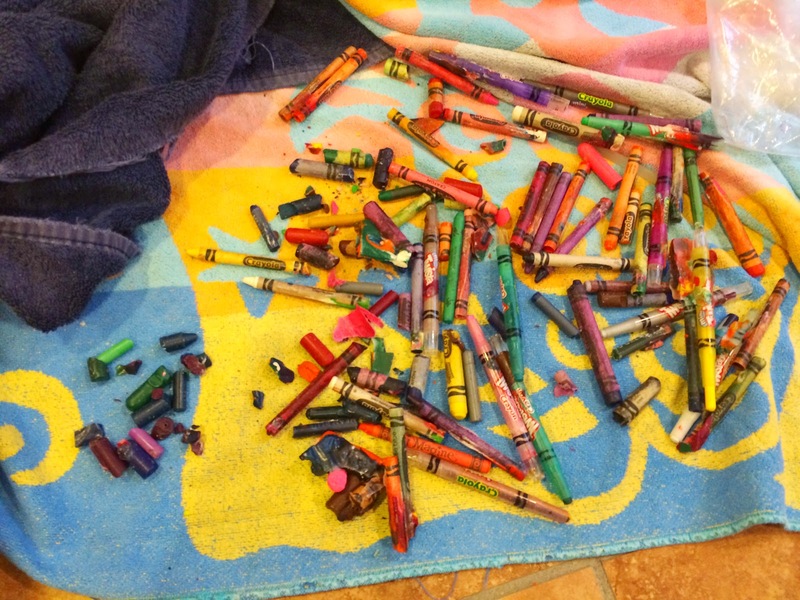 Thanks for visiting Our Beautifully Messy House! If you like what you see, please share with your friends and subscribe/follow me! Find us here on FaceBook too! Enjoy!